Ataraxia is one of the upcoming Trance Talents from the Netherlands. His track “DCL” was made for the ASOT 650 Anthem contest in the first place, the DCL stands for the Roman numbers. The track didn’t win the contest, but Armin did give it a preview on ASOT. 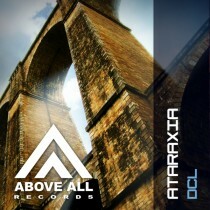 “DCL” is a cool anthem-like track, and the more orchestral / uplifting additions by Mike Spinner completes this release!